This California State Point of Historic Interest was built as a Good Templars Hall in October of 1890 by Henry Clay Needham, who ran for U.S. Senator on the Prohibition ticket and was a favorite son candidate for U.S. President in 1920. 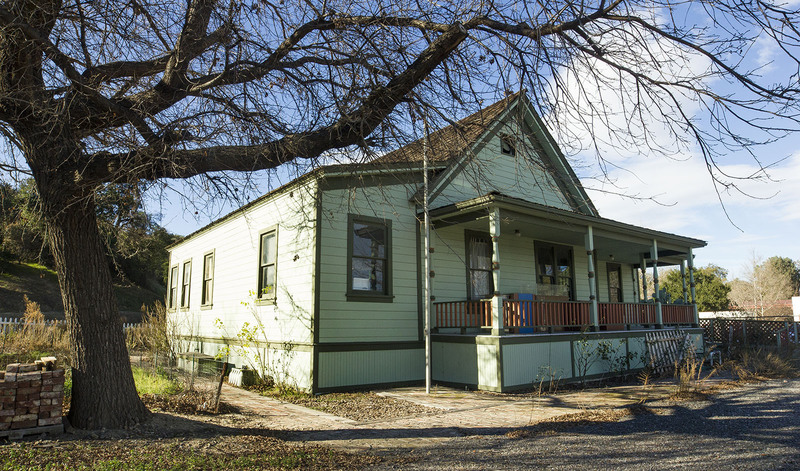 Needham founded the Newhall Water Co.
Mr. Ed Pardee, a pioneer oil man, local constable and owner of the livery stable, moved it in 1893, adding it to his home at Market and Walnut Streets. Noted Western actor, Tom Mix, used it in films, with one of his “Mixvilles” located behind the building. The first John Ford-harry Carey pictures was shot here in 1917. Pardee’s daughter, Pearle Russell, sold it to the Pacific Telephone Co. in 1946, where it became the second Newhall telephone exchange. The Santa Clarita Valley Boys Club occupied the building from 1969 to 1977, after which the building was leased by the Newhall-Saugus Chamber of Commerce. In 1987, the chamber, later named the Santa Clarita Valley Chamber of Commerce, left the building, and it reverted to Pacific Bell. 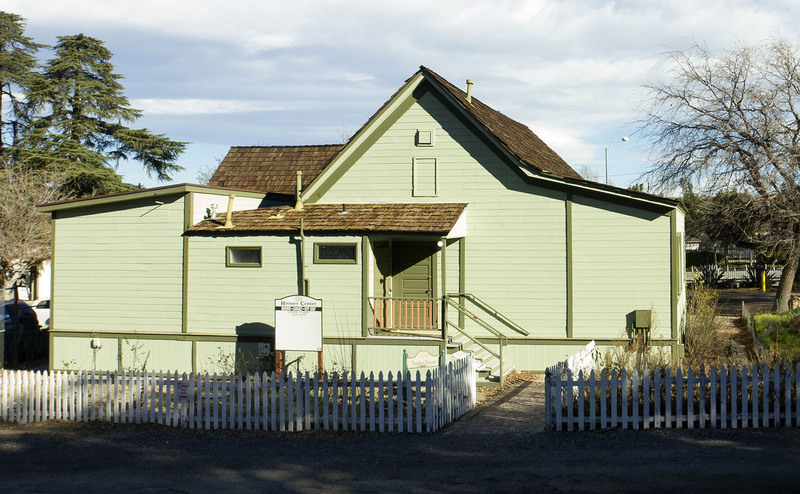 The Santa Clarita Valley Historical Society, with a grant from the City of Santa Clarita, moved the house to Heritage Junction in August, 1992. 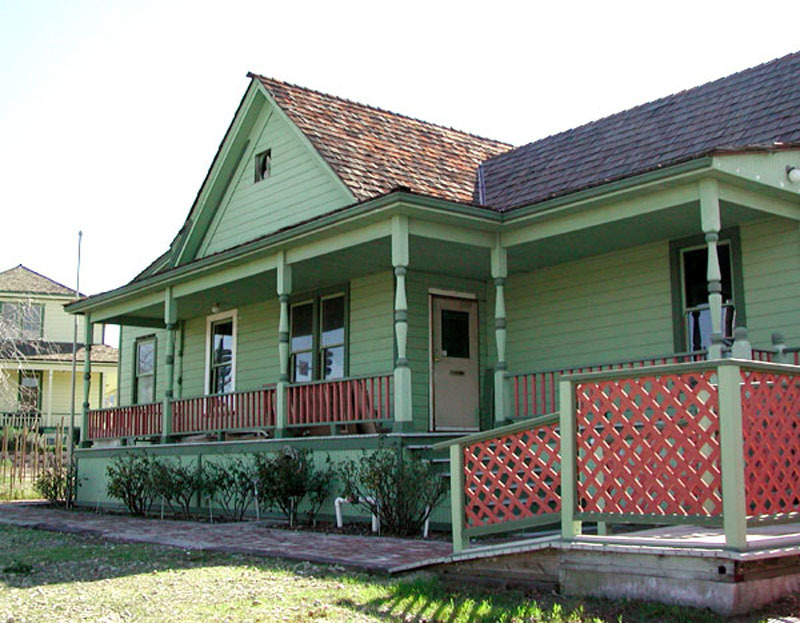 After restoration, it will serve as a visitors’ center and museum for the Society and as an entrance to Heritage Junction Historic Park.